First of all, thanks for stopping by at the Ab Rocket Twister Review. I’m sure you’re just like me in looking for some magic way of getting rid of belly fat and ‘love handles’ but have always fallen short of finding the right answer. Have a great workout to tone up your abs with the As Seen On TV Ab Rocket Twister. 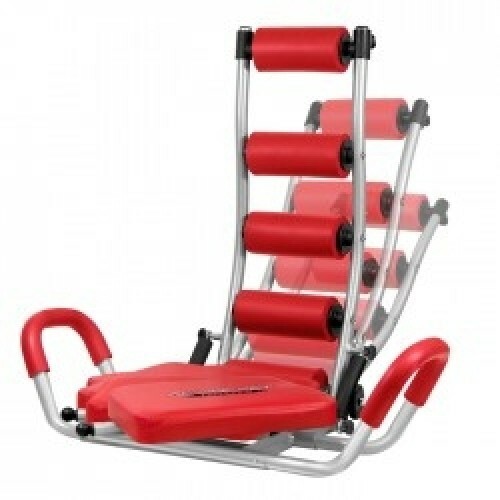 It comes with three levels of resistance, which allows you to have the right level of exercise to suit your needs. With cylinder launch technology, this abdominal workout machine can simultaneously tone up lower abs, upper abs, and even the sides. The innovative seat design allows you to twist and turn your lower body to maximize your workout. Further, the cushions support and massage you while you exercise, eliminating neck and back pain. This abdominal trainer includes instructions to for the 5-minute extreme Ab workout, Ab blaster program for the beginner, Ab blaster program for the intermediate, Rock in cardio dance program, and meal plan. As Seen On TV Ab Rocket Twister: 1) Targets upper and lower abs and obliques 2) 3 levels of resistance 3) Cylinder launch technology Innovative seat design gives you an option to twist and turn your lower body to maximize your workout Cushions support and massage you while you exercise, eliminating neck and back pain 4) Blast Away The Calories Meal Plan: Delicious daily meal plans to shed pounds and inches!